This year, 10 mission participants were sent by Wesley UMC to the state of Tlaxcala, Mexico. Team leader Mona Otomori was joined by Aniceto Alva, Dave Brown, Nadya Brown, Doug Clark, Jim Higuchi, Barbara Hiura, Rev. Keith Inouye, Grace Wada and Jean Yamaguchi. Joining us in Mexico were our coordinator Priscila Rojas Quintero as well as good friends Uli Quintero, Emmanuel (Chato) Cano and Florentino Martinez Baez. The Pastor Pedro Moreno Cano invited and received us to his mission church and our team was joined in construction and repair work by Superintendent Narciso and Bishop Raquel Balbuena, all newly appointed to their positions as of August 2018. The mission church El Divino Redentor was the first "little brother" to a larger Methodist church in Mexico, established 1968. In its 50 years of existence, membership has remained at about 40 members, not quite large enough to become a fully recognized Methodist church in its Conference. Over time, an annex was added to the main sanctuary, but construction of the work proved to be faulty and water leakage at the seam damaged celings and walls. Our team helped to remove and replace the concrete roof, as well as painting the interior of the sanctuary, sprucing up floors and pews, and provided funds for new paint and logo signage on the exterior. It is with great joy that we travel to Mexico and meet the church people there. We are always treated with extraordinary hospitality and friendship. It is a blessing to spend mealtime with them, tour the area, and worship together. Thank you Wesley UMC for always giving generously but mostly for your good wishes and prayers. It is an honor and a blessing to carry your love to our friends in Mexico. Wesley UMC sent a team of nine adults for our third visit to Templo Principe de Paz in the farming community of Rancho Herrera. The site where we started by clearing and leveling the dirt floor within a shell of a building has grown to a space with walls, window and door cutouts, and full ceiling! We rejoiced with the people of Rancho at the progress they have made in our absence. More than a building, the church is the people. These brothers and sisters of Rancho, our new and lifelong friends have revived their faith and dreams and can now see that they deserve to have this sanctuary, this place of worship and fellowship. This year we provided funds and manpower to help prep the walls for electrical conduits as well the foundation of the raised altar area, and the fabrication of a eco-waste restroom. Our team also cleared a pathway along the side of the building leading to the new restroom, and moved a pile of rocks/stones. So touching was the exhibition of love and gratitude from this church community as they raised signs translated into English with messages such as "I learned that I am valuable" and "I will share my love with others because you shared Jesus with us". Over the three visits, Wesley has sent 21 people to this site, and we were joined by our friends in Mexico each time, Priscila Quinteros, Emmanuel "Chato" Cano and Florentino Baez. We thank God for the opportunities to serve in his name. Our group worked three days at the warehouse in Salt Lake City packing 3000 health kits, sewing numerous fabric diapers and school tote bags. Under the direction of Pastor Brian Diggs and his right-hand man, Maika, UMCOR West also packs and sends layette kits, birthing kits, water purification buckets, school kits and sewing kits. While in Salt Lake City and with the help of Rev. Brian, our group also connected with the SLC Welfare Square and Deseret Industries, run by the LDS church. We served at the Deseret Thrift Store, sorting donations and straightening up store shelves. And then we had a walking tour of the square which included a 178-foot grain elevator, storehouse, bakery, cannery and dairy-processing facility. Primetimers and Wesley UMVIM would like to thank the congregation for their continued support and encouragement for mission trips such as these, where we are blessed with opportunities for all ages to serve the world and larger community, to open our eyes to global needs, and to deepen our relationships with God and with each other. 11 adult missioners from Wesley UMC were joined by our Mexican coordinator Priscila Quinteros and friend “Chato” Cano as we returned to the sites of our work the previous year. Construction of the mission church Principe de Paz in the farming town of Rancho Herrera has continued since our last visit and crossbeams had been added. This year we helped with the rebar framing for a cement ceiling. As well, with a contribution from our Missions & Social Concerns Committee and donations from the congregation we were able to purchase the construction materials and make donations to the two churches we visited. We also painted the outside of the Methodist church in Actipan de Morelos, Temple Eben Ezer. A large focus of our mission trip is connectional and we are blessed to have made great friendships with our brothers and sisters at these two churches. Gathering for fellowship over meals, worshipping and singing together, all are opportunities for bonding, both among our team and with our friends in Mexico. We thank God for the opportunity and for his many blessings. A team of nine from Wesley UMC, Isleton UMC and Pioneer Ocean View UCC travelled to the state of Puebla in Mexico. Working with the Pastors Miguel Palacio and Juanita Hernandez, our VIM team worshiped and served at Methodist churches Templo Eben Ezer in Actipan de Morelos, Templo Principe de Paz in Rancho Herrera and Templo Sinai in Puebla. 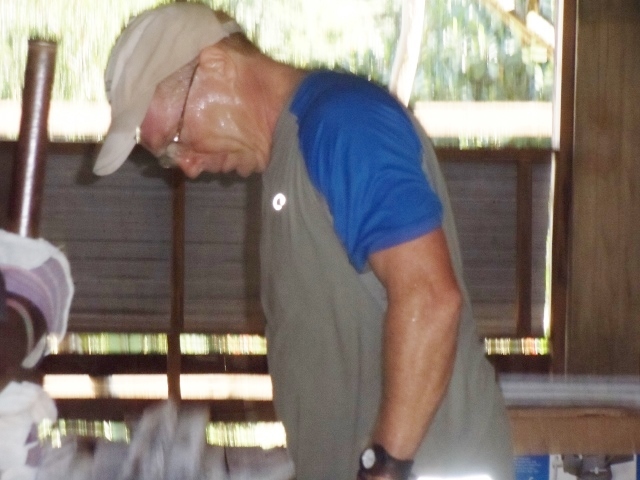 The team worked alongside church members on construction, clearing and leveling soil for the placement of an altar area in Principe de Paz and water-proofing the roofs at Templo Sinai. 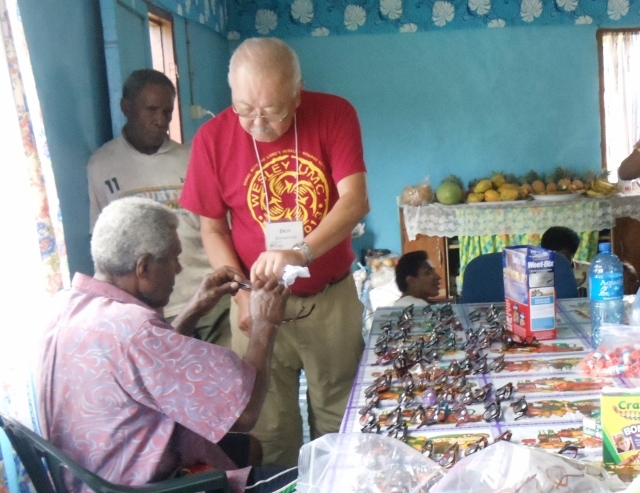 This mission trip was also about connectionalism as we prayed, sang and worshipped together in a blending of Mexican, American and Japanese cultures and languages, as well as short tours of the areas. 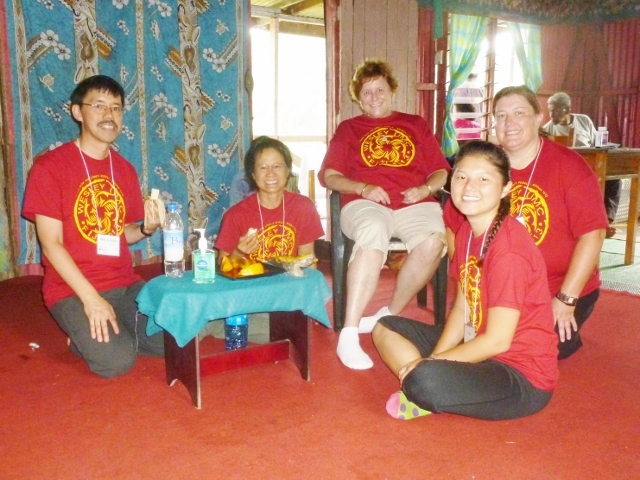 Homestays were arranged with church members, meals and local transportation were covered by participant fees. Donations were made to both churches from the Wesley VIM Fund. Twenty-six Primetimers worked in Salt Lake City for three days sorting and packing UMCOR birthing kits and sewing items for layettes. Before beginning work the group traveled.to the site of the Topaz Internment Camp and visited the Topaz Museum. Many of the group attended the Tabernacle Choir evening rehearsal. We worked at two Methodist churches in the Puebla area. Our coordinator and friend in Puebla, Priscila, made arrangements for us to serve in construction and vacation bible school at Templo Sinai Methodist Church in Puebla. As well she coordinated with Pastor Saul for us to serve in construction at El Divino Redentor, a small Methodist Church in Tlaxcala.. Homestays were arranged for mission participants. Meals and transportation were included in the cost of the mission. Our team joined the construction crew on the Methodist church in Navuniyaro, continued annually since 2010. We provided a medical clinic, serving approximately 350 patients. Bible school for approximately 100 children was provided for four days. Past trips have included experiences of local farming and fishing techniques, tech support for the elementary school, and visits to the local hospital/clinic. Homestay village housing. The group visited and served the ARI (Asian Rural Institute) which suffered earthquake damage and other tsunami related work projects, visited a children’s orphanage, re-connected with Fukushima students who visited last summer, had a homestay “exchange” program with Kyoai Gakuen the high school group who has come to Wesley with Rev. Izuru Aratani. Five Alpha Omega from Wesley are included in a total team of about 40, with various other NJAUMC churches. The group traveled to the El Reno area of Oklahoma, where they did relief work for tornado disasters of May 2013. 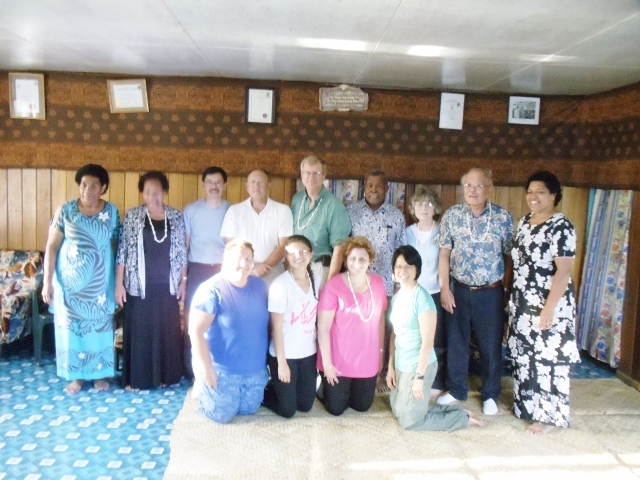 Eleven team members from Wesley and several other churches spent two weeks working with the wonderful people of Navuniyaro Village and two other villages in the area in Fiji each July. Our medical and dental team treat 350 patients and offer physical therapy to those in need. 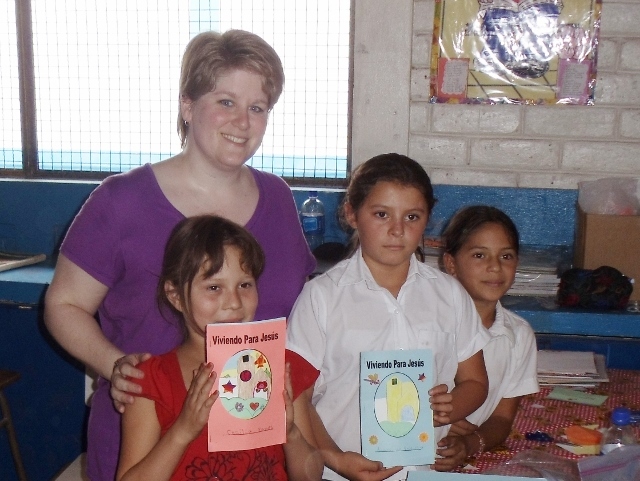 Well over 100 children attend Bible School lessons daily, which includes music and crafts. The village has been constructing a church for the past few years, and our team is assisting in the ongoing building project. We are looking forward to our return in 2014! The VIM Team from Wesley traveled to El Salvador, were they joined a local group working to help a rural village become self sufficient. The team traveled over rural, sometimes unpaved roads to Valle de Jesus, a village of about 100 families. While in the village, plans were made to assist with the development of a small business group, and to add to agriculture possibilities. The group from El Salvador continues to monitor and assist this endeavor. 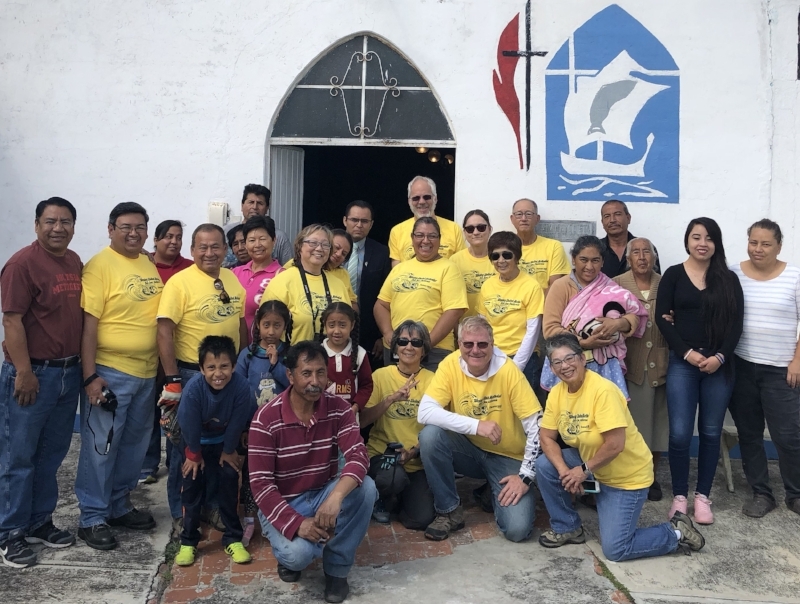 Wesley members were joined by a group from the Puebla Methodist Church in the village of Tizimin, Mexico, not too far from Cancun. They worked during the week clearing growth and removing an old fence from the church property. A wall is being constructed around the church property, so team members also worked on digging the trench needed to construct the wall. Calvary Church members provided delicious meals and wonderful friendships were formed. Our group was able to visit two other small villages with newly formed Methodist Churches in the area. Wesley Young Adults traveled to this small village near Veracruz in December and worked with local church members as they helped raise the roof, cleared and leveled the site for a Methodist Church on this piece of land. Be a part of this amazing opportunity. This church is built on faith and we are honored to have the opportunity to start construction with them. What was once an open field is now a promising start for a church community to grow and to replace the small room in which they met to worship, sing and praise God. 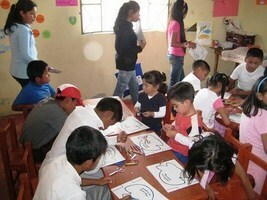 A team of eight traveled to San Matias Atzala, a small community near Puebla, Mexico in May. (Also went in 2009) We were joined by many local church members, all intent on improving their Methodist Church building. With our help and with money donated by Wesley members and friends, wonderful things took place during the time we spent there. We painted, and the church began the process of adding a structure by digging holes and erecting rebar for columns. Some of us organized some children's activities focusing on Bible Stories. While all this was taking place, our medical team saw almost 200 patients. Unfortunately over 35% of the adults seen suffer from diabetes, so there is great need for health services in San Matias. A local dentist was available for 2 days and treated many of the community. A highlight of the trip was our visit to the local Methodist Old Folks home, where we presented residents with lap blankets made by Wesley Women. Thanks to everyone for your support and prayers! Each November a group from Wesley travels to Tatoxcac, a small village about five hours from Mexico City, and provides free medical services at the Buen Samaritan Clinic, which was built by Methodist Church work groups from the United States. Doctors, nurses and other medical providers work for four days at the clinic, seeing approximately 500 adults and children each year. One other village is also visited for three days each year. We are able to purchase medications at a very reduced rate from MAP International, a Christian organization dedicated to providing low cost medications for those in need throughout the world. The team also provides Bible School activities for the children, who sometimes are waiting all day with their parents to see a medical provider. Eleven Wesley members spent a week in July in Panzacola, Puebla, Mexico. We were blessed with a wonderful experience. This was our fourth visit to the church, which is now just about complete. 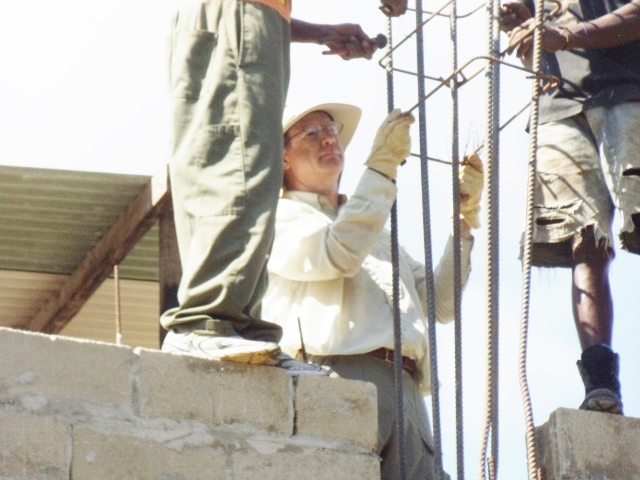 With generous donations from Wesley church members and the work team, we were able to donate funds needed for church restrooms, and while there we worked on the roof and parsonage.We made new friends and renewed old friendships. Approximately 20 youth traveled to Slidell, Louisiana, to do construction on two homes that families were still waiting to be built or repaired after the Gulf Coast was hard hit by Hurricane Katrina of 2002. 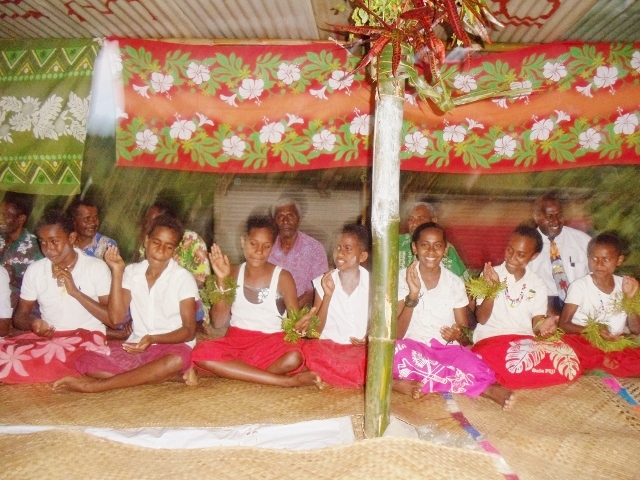 A member was part of a construction and VBS team in Fiji. Work on the community Methodist Church included construction of a staircase to the second floor of the church. A member joined a Connectional Volunteers in Mission (VIM) team traveling to Alaska to lead a Vacation Bible School for children. 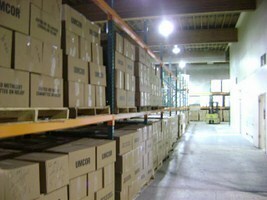 Wesley members joined a team that worked at the UMCOR West Depot in Salt Lake City, Utah. They prepared health kits to be used nationally and internationally, in places like Haiti following the devastating earthquake. Wesley team made a donation to the building project at the Tatoxcac Clinic. A Young Adult team did roofing work on a home in Pharr, Texas, which was a part of the continuing Hurricane relief efforts. 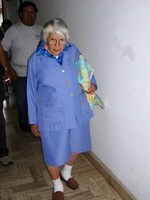 Medical services were rendered and parsonage repair in Puebla, Mexico, was done by an adult mission team. A Young Adult team did repairs of a church and parsonage at an Indian Reservation in Schurz, Nevada. A youth mission team went to Caruthers and Selma, CA, to run a Vacation Bible School for children and build pantry shelving in a church there. 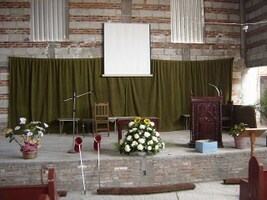 Medical and church cleanup and repair was done in a suburb of Puebla, Puebla, Mexico. Four Adult/Young Adult teams from Wesley have now visited the Methodist Church in Panzacola, Tlaxcala, Mexico between 2007 and 2009 where they worked with church members there to help them build their new church. 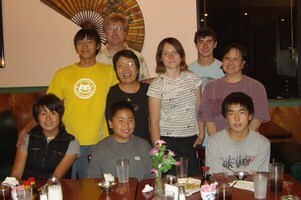 2006 - a Young Adult team went to Slidell, Louisiana, to do repair and rebuilding of homes damaged by Hurricane Katrina. Annual youth summer mission trips were made to Lake Junaluska, North Carolina. Annually, a medical team from Wesley offered free medical care and medications to the community of Tatoxcac, Zacapoaxtla, in the state of Puebla, Mexico. 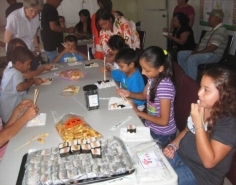 Vacation Bible School was also provided in Tatoxcac. Medical teams have also worked in the communities of San Juan and San Matias in the state of Puebla. To read captions for pictures, click on photo below then put cursor over photo. A brief description will appear. Wesley's team joined a group from El Salvador to offer assistance to a small village of 100 families. 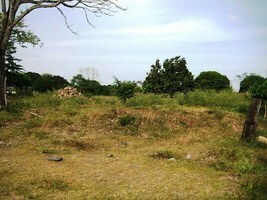 They traveled over unpaved roads for several hours to reach Valle de Jesus, located near the Honduras border. Working with the children and painting the church were the main activities undertaken by the VIM team. Teams continue working with the community each year. 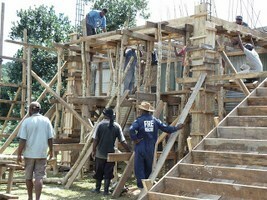 Church construction progresses with the help of the villagers. Daily Vacation Bible School activities are offered for children, and the medical team sees most of the community during the week. The team will return to Navuniyaro in 2014.